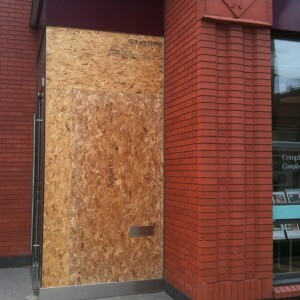 The area is now secure and we have even fitted the client’s letterbox into the board. 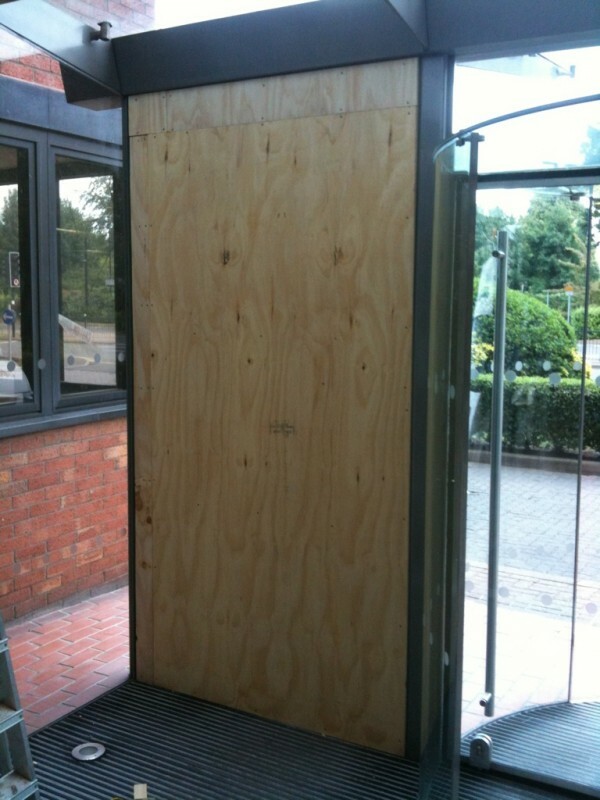 Boarding can also be shaped to fit any window. 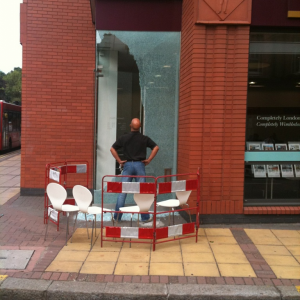 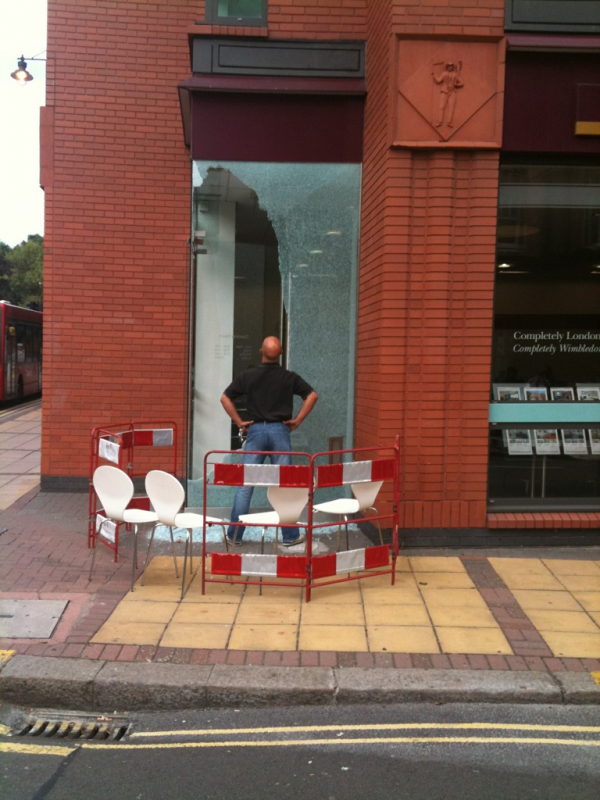 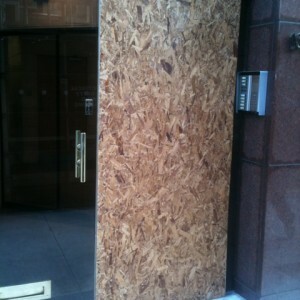 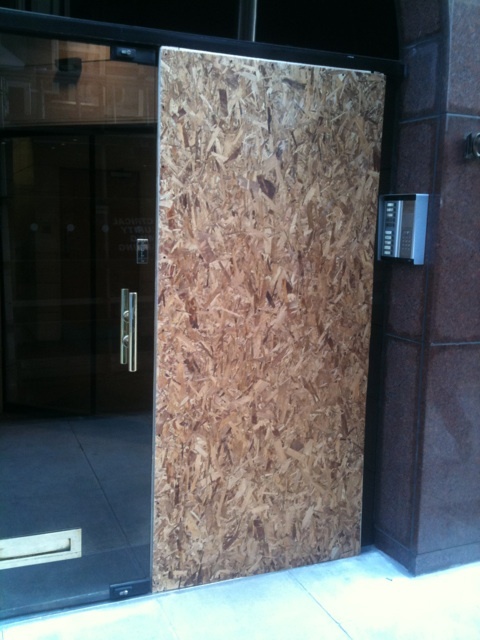 Occasionally when a glass pane has broken, the area needs to be secured. 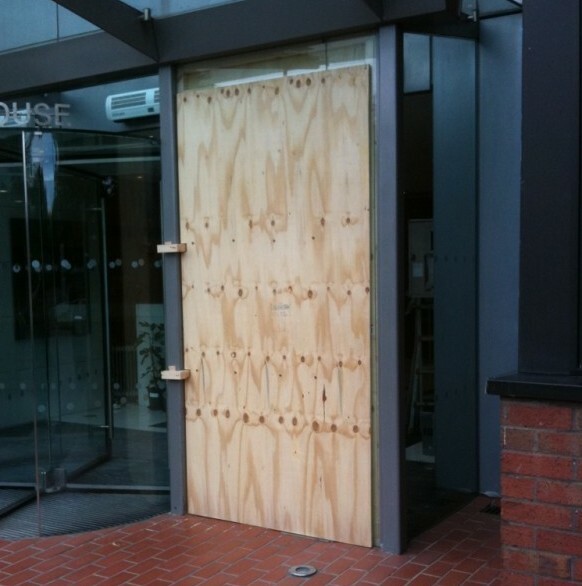 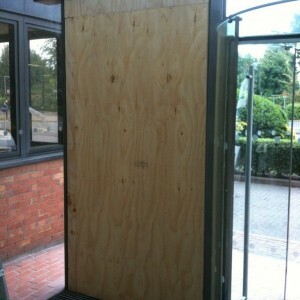 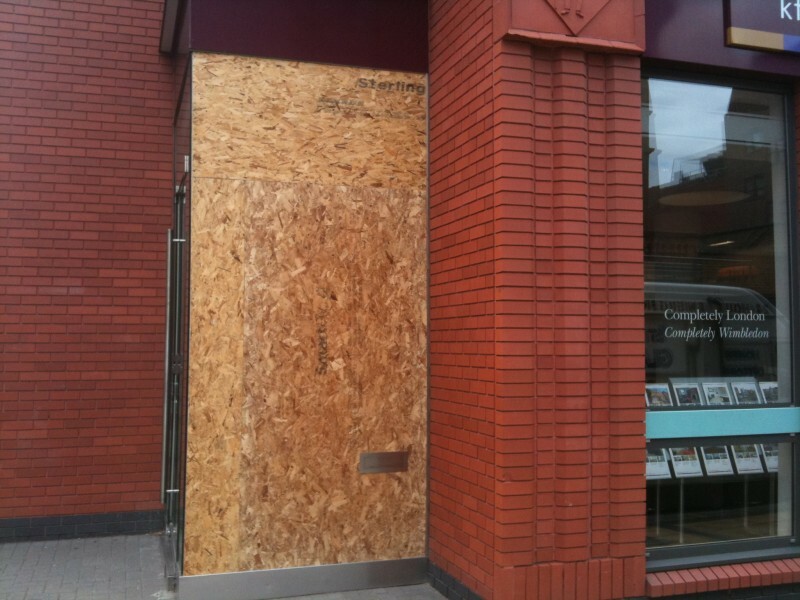 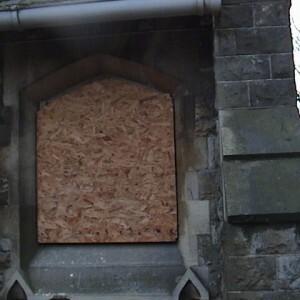 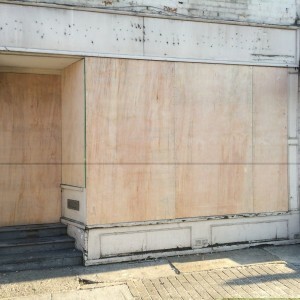 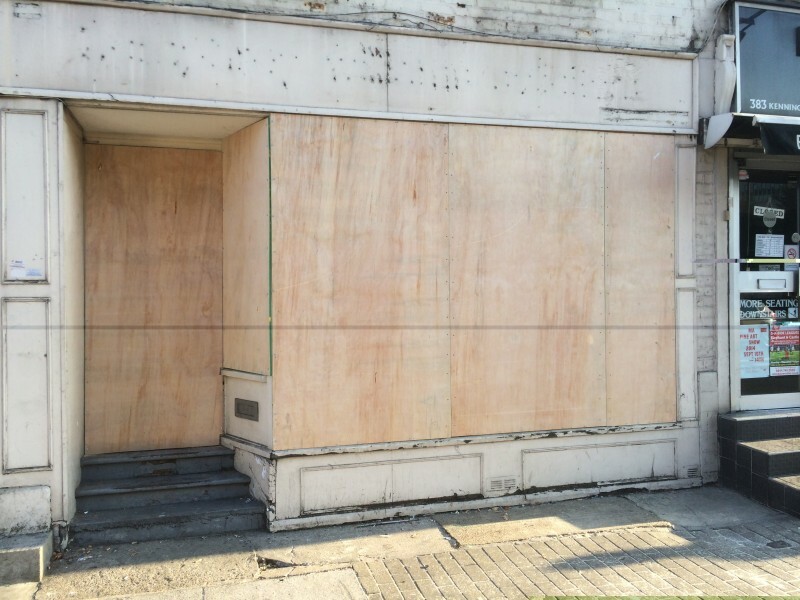 Often a new glass pane needs to be ordered, so the most secure way is to board the area. 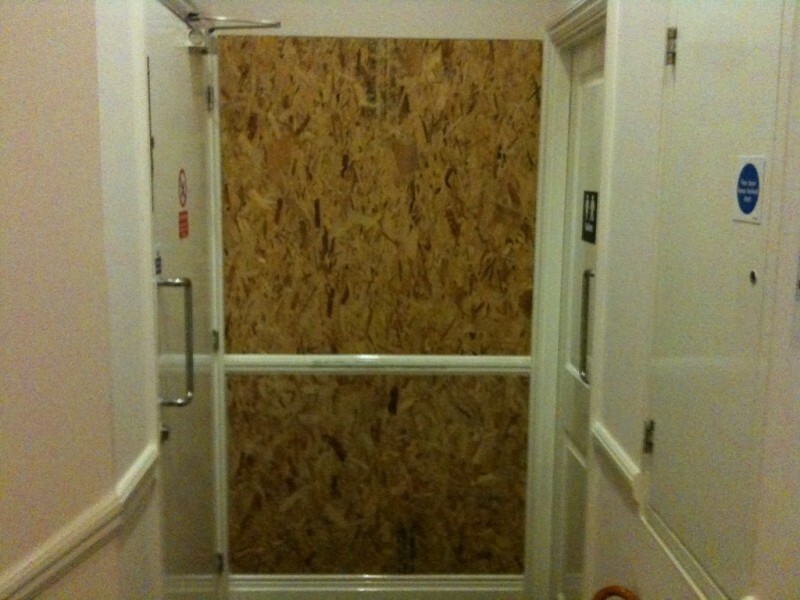 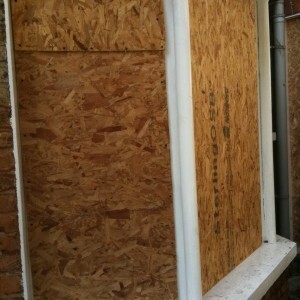 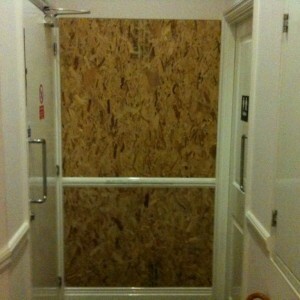 1st Call Glazing always stock boards and wooden supports so we are always able to secure an area if required. 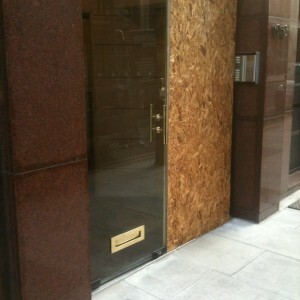 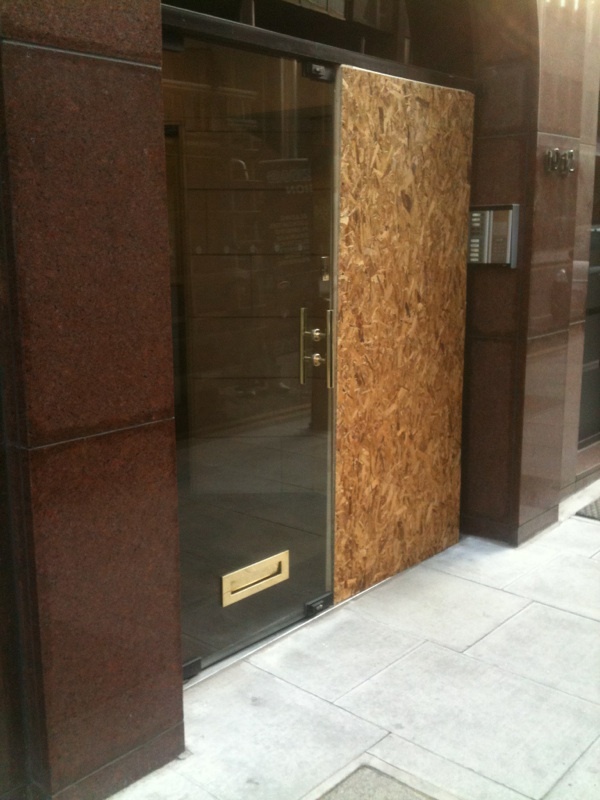 We also stock clear safety film to cover over broken glass, if the glass is still reasonably secured in the frame. 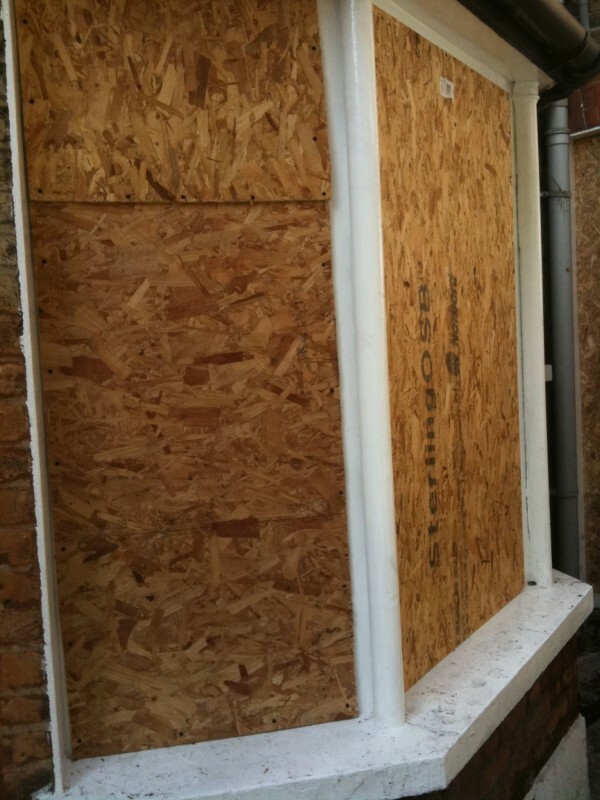 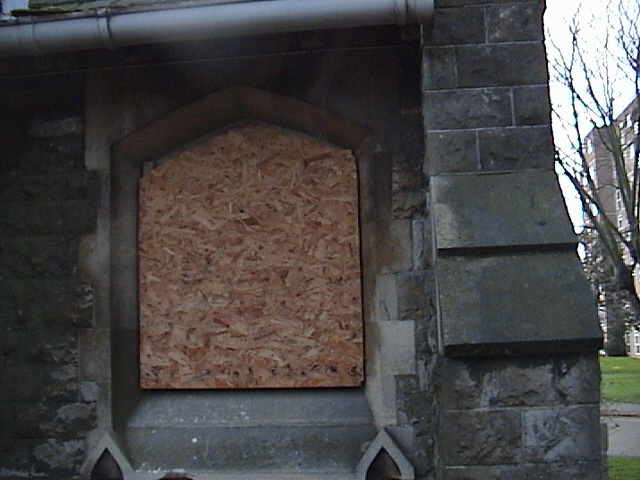 Above and are some examples of window frames 1st Call Glazing have secured using boards.